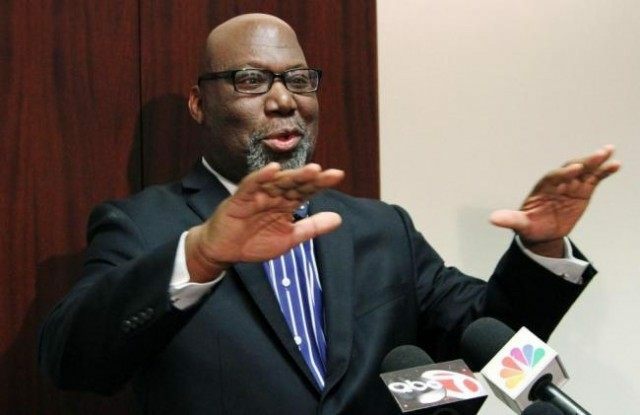 Texas Education Commissioner Michael Williams has always said that “Texans know what’s best for Texas schools.” He said it when he originally applied for the No Child Left Behind Waiver in 2013. He said it when he applied for a federally funded preschool expansion grant that had the unlikely component of “vouchers” woven into the plan. Williams is saying it again even though the US Department of Education (USDE) has denied the state its No Child Left Behind (NCLB) waiver renewal. He may not have a choice. When Texas applied for an NCLB waiver in 2013, the commissioner applied for a different waiver than he received. Breitbart Texas reported that he applied under a general waiver that was “to relax the federal Adequate Yearly Progress (AYP) standards although that would not force the state to follow all of the Department of Education’s rules” but that was not what the US Department of Education (USDE) issued to Texas. The state received the same waiver as any other state, including those which adopted the Common Core. Now, the Montgomery County Courier cautioned that the extended NCLB waiver may be on a collision course with Texas education. Williams seeks to maintain local or even state control, quite the contrary direction than the federal exemption that asks for more Big Education accountability. The impasse with the feds for the waiver renewal is primarily over teacher and principal evaluation guidelines that the state has not yet adopted in every district, as Breitbart Texas reported. The NCLB waiver is not designed for a state where “under state law, districts and charters are not required to use the state’s evaluation system. Public school districts are by-and-large able to choose books, curriculum and other education instruments, including most assessment tools, so long as it meets the state’s minimum criteria,” the Courier added. The feds have a long list of demands. They want Texas to include details on how the new evaluations will report personnel decisions (including hiring and firing), how the state plans to incorporate “student growth” into evaluations for subjects that aren’t tested (i.e., physical education), and how the state will ensure that districts follow the new teacher evaluation plan. They also want more details on how the new Texas evaluation system will reflect that student growth on state scores. Williams said he pursued the waiver because public school administrators and teachers wanted it because it exempted them from the rigid NCLB reading and math proficiency requirements. The TEA has been piloting the new Texas Teachers Evaluation and Support System (T-TESS) in 64 school districts and charter schools as part of the NCLB waiver requirements mandated by the US Department of Education (USDE). It is the first time the state updated its evaluation processes since 1997. The evaluation system will launch officially next school year. Williams maintained that the core criticisms from federal officials and peer reviewers centered on items that would require either statutory changes to TEA authority or specific mandates to all school districts from the state level. If Texas cannot get the waiver renewed then “Districts would also not have to set aside 20 percent of their Title I federal funds that would be used for additional education opportunities for students at poor-performing campuses within the districts. Title I money is used for districts with a high number of low-income families,” according to the Courier, and only the lowest performing 15 percent of schools on annual standardized exams are classified as priority schools that require some level of federal oversight. By contrast, only the lowest performing 15 percent of schools on annual standardized exams are classified as priority schools that require some level of federal oversight under the NCLB waiver. A big concern is if Texas goes back to operating without the NCLB waiver is that “almost all of Texas public schools will be fined for not meeting NCLB guidelines. How much that fine would be is unclear at this time,” noted the Courier. Perhaps an even greater concern is how would Texas manage with or without an NCLB waiver under a reauthorized NCLB, which will likely happen in 2015. So far, the drafts that have emerged in the US Senate and the House do not return authority to the states and localities or empower parents, Breitbart News reported. The commissioner has until March 31 to resubmit the state’s renewal application for a waiver that comes with a lot of strings attached.